From the premise, Everyone We've Been sounds like everything I love in a book. There's a potential mystery boy, the element of an underlying mystery that has to be solved and a sense that there's a whole lot of adventure lying between the pages. I was lucky enough to be asked to be on the blog tour and I couldn't wait to get started reading as soon as it landed in my lap. 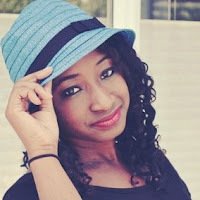 Addison, or Addie, has been in an accident that will change her life drastically. At first, she's worried she's seriously going crazy. She can see a boy no one else can see and I know that realistically, if that were to happen to me, I would be freaking out. In the time after her accident, Addie begins having these dips in memory that can't be explained, twisted into the fact that this boy that only her eyes can see is forged into them. Everyone We've Been is told in the before and afters of Addie's accident which really gives the story another dimension of truth and normalcy. It keeps the plot steadily paced and engrossing and I found that slowly, as the truth of Addie's accident, her memory gaps and the mystery boy came to light, I began to piece together the puzzle and underlying illusive aspect that seems to tie into her memory loss. Addie was straight away relateable. I love characters that feel like friends and someone you can just get as they tell you their story. The alternating past and present times really captured Addie's character development and I found that because of this, it made her all the more real to me and I could connect with her so much better and feel like I was on the journey with her the whole way, too. 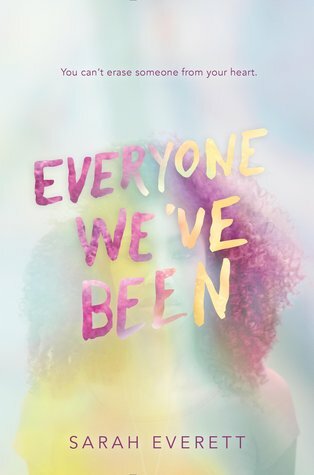 Overall, Everyone We've Been is a powerful, magnetic story bursting with potential and perfection. I found myself hooked to the pages at two a.m., compelled by the storyline that just seemed to ooze "keep reading me" qualities. Addie was a star character and I was rooting for her the entire way, with each new unveiling of information I found myself falling further into the skillful plot that keeps you guessing. Underneath the beautiful cover there is an even more lively story just waiting to be read and now that I have, I can't recommend it highly enough. Everyone We've Been is one of the best hits of 2016 and I'm so glad that I had the chance to read it. Five stars aren't high enough. Stop by the other days on the Everyone We've Been Tour! Have you read Everyone We've Been?